If you’re in class today I just want you to know that reading comics is no way to start a new semester, but for selfish reasons, I encourage you to continue doing so. That teacher over there would probably underestimate your ability to multi-task and reading my comic during study hours will prove that teacher wrong. Damn it, teacher. . . just damn it. That’s the tattoo he wanted to put on his daughter. You kinda have to think about this one. That’s actually a very smart idea. 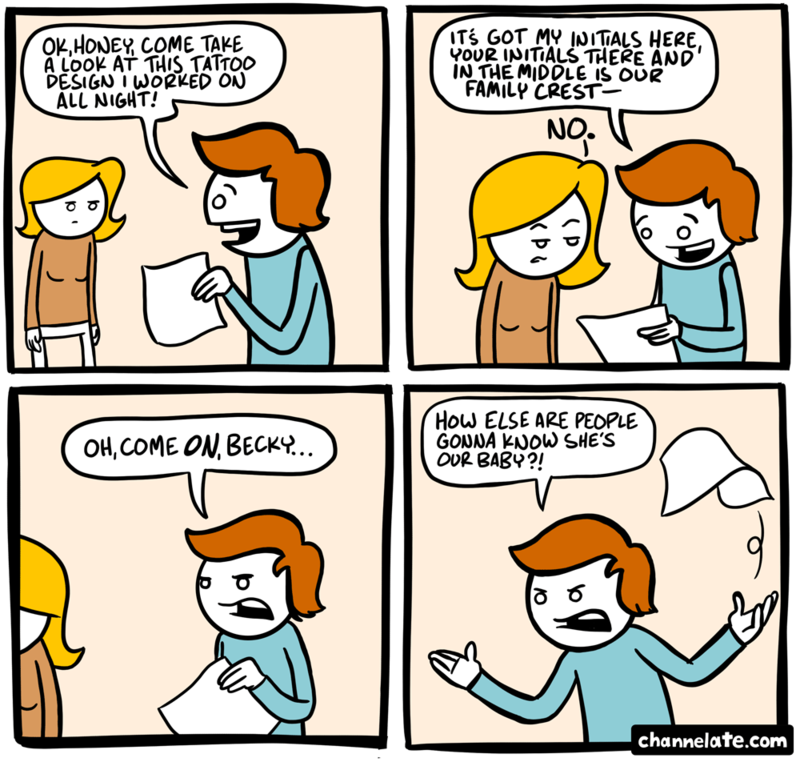 If she gets that tattoo right after she’s born, they’ll have an easier job finding her if she’s ever kidnapped. I would like to see said design. Sorry, ladyfriend. I don’t even know if we have a family crest. This idea should be more commonplace. Like cattle branding. Of your could just urinate on your children to mark them as belonging to you. I urinate on my children anyway, and now I have a reason! You sir are one of the most amazing people ever. This comic is one of the best on the web… I don’t know what I would do without it. blogger lovers however this piece of writing is in fact a nice post, keep it up. 1bfFIZ Thanks for the blog article.Really thank you! Want more.